New luxury apartments, beautifully finished, modern, spacious, peaceful location, walking distance of town, en-suite bedrooms. Free WiFi. Winter offers. 4 **** Visit Scotland grading. Bright and airy with views down Scapa Flow over Orphir hills or over farm land. Spacious open plan kitchen, dining / living room, chic high gloss cream fitted kitchen, modern appliances, Denby crockery and ambient lighting. Selection of Orkney books, maps and information guides to browse through at your leisure. Self catering orkney - all 3 apartments are self-contained and all single storey, each with their own private entrance (only one step up to the door) and ample private parking. Sleeping a max of 10 + 1 in three separate houses makes it ideal for families and friends to holiday together. 10 mins walk to the town centre, Harbour where the Northlink Ferry docks, Cafes, Restaurants, Shops, Pubs, Bus stop and Stromness Tourist information centre. There is so much to see and do, right on your doorstep. 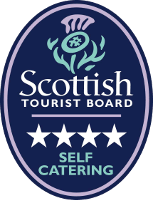 Innertown Self-catering offers close proximity (10-15 mins by car) to other areas of interest, such as world famous archaeological sites of Maeshowe, Ring of Brodgar, Skara Brae, Standing Stones of Stenness and the newly discovered dig at Ness of Brodgar - dated 800 years older than Stonehenge! Or take a trip to Visit 'The old Man of Hoy' standing at 137m, makes it Europe's tallest sea stack. Be amazed at the extensive species of birds including puffins, corncrakes and hen harriers and superb free trout fishing, with a choice of a different loch around every corner. There is a shed which may be used to store bikes, fishing gear. Stromness is situated on the south west of the Orkney mainland, where the Northlink Ferry, 'Hamnavoe' docks and is steeped in history and has a character of its own. Wander along the cobbled street and browse through the shops full of Orkney handmade crafts - jewellery, pottery, designer knitwear and interior accessories, tapestry, artwork and lots more. 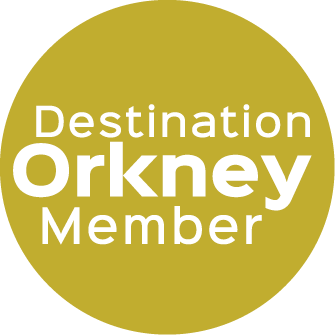 A minute's drive from your Stromness self-catering apartment, or stroll down the many lanes to the harbour and town centre, for fresh baked bread daily from the local baker, Orkney meat from a 'real' butcher or visit the Orkney fish shop for fresh Orkney crab, lobster and fish. Visit the award winning Pier Arts Centre and museum, or treat yourself to a special meal in one of the many restaurants, cafes that use locally sourced ingredients from the land and sea. We also have Earl Thorfinn Cottage in Kirkwall available to let. Self-Catering Orkney Apartments makes a perfect place from which to switch off, wind down and experience the quieter pace of life that an Orkney Self-catering holiday offers, but still have all the amenities a stones throw away!